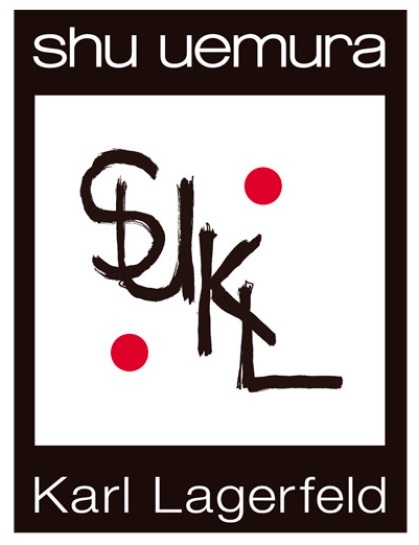 Very exciting news – shu uemura will be collaborating on an exclusive collection with the king of all collaborators fashion designer, Karl Lagerfeld for Christmas 2012! Keep reading to see pictures of the two legends of fashion and beauty together. I’m told that Karl Lagerfeld and Mr. Uemura were friends for over 20 years, before Mr. Uemura’s death in 2008, and both greatly valued each other’s work. 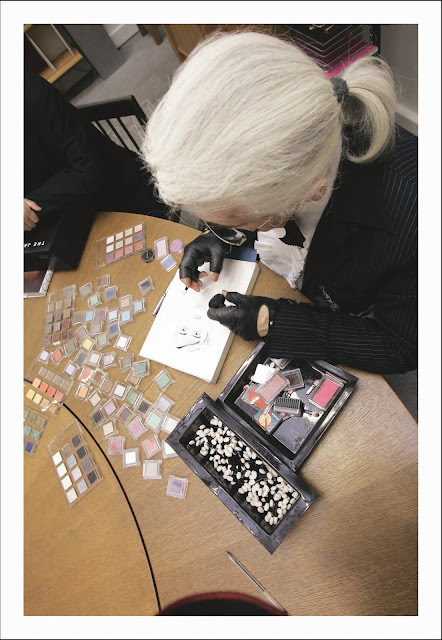 Apparently Karl has been using shu uemura pressed eye shadows to sketch with for many years! So it seems entirely natural to create this collection in homage to shu uemura. 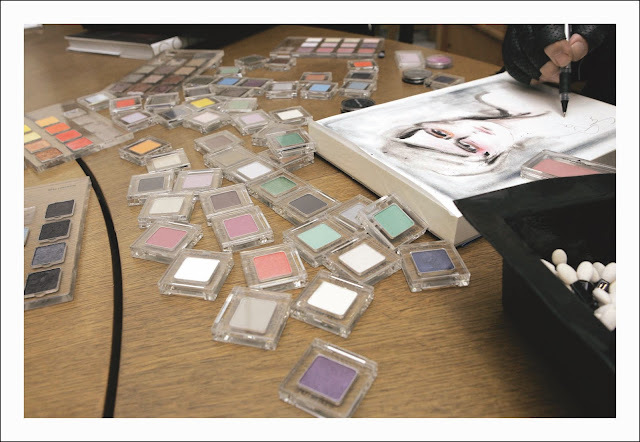 The collection’s colours and packaging have been designed entirely by Karl Lagerfeld and it launches in November 2012 worldwide. Exciting!! This entry was posted on Tuesday, June 12th, 2012 at 10:19. You can follow any comments to this entry through the RSS 2.0 feed. You can leave a comment, or trackback from your own site.